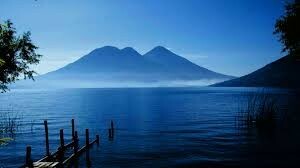 Guatemala is a nature-lovers paradise.Guatemala is the birth place of the ancient Mayan Ruins, Rain forests and natural beauty . Guatemala is a vibrant, colorful land characterized by its proud ethnic cultures, towering volcanic peaks, lush jungles, colonial architecture and staggering Mayan monuments. 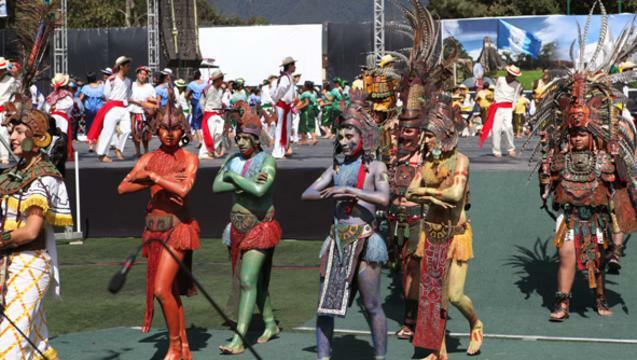 Guatemala has it all ranging from the highlands to the coasts, the colonial towns to the devout festivals, the great mountain lakes to the exotic jungles. Guatemala is still a developing nation, a young democracy with a turbulent and bloody history that’s beset by deep-rooted inequalities. And yet, despite alarming levels of poverty and unemployment, most Guatemalans are extraordinarily courteous and are too eager to help you catch the right bus or practice your Spanish. It’s this genuine and profound hospitality combined with the country’s outstanding cultural legacy and astonishing natural beauty that makes Guatemala such a compelling place for travelers. The rainy season runs roughly from May to October, with the worst of the rain falling in September and October. 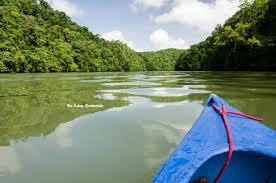 In Petén, however, the season can extend into December. Even at the height of the wet season, though, the rain is usually confined to late afternoon downpours with most of the rest of the day being warm and pleasant. Visiting Petén’s more remote ruins is best attempted between February and May, as the mud can be thigh-deep during the height of the rains. The busiest times for tourism are between December and March, and again in July and August. Language schools and hotels are fullest during these periods, and many of them hike their prices correspondingly. 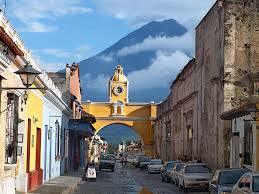 See the sights of Guatemala City, which include Parque Central, bordered by the National Palace and the Cathedral. Not to be missed is the world’s largest Relief Map (of the Republic) in Minerva Park, and the city’s wonderful art and archaeology museums, specifically the National Museum of Archaeology and Ethnology. Guatemala offers a startling range of landscapes, defined by extremes. 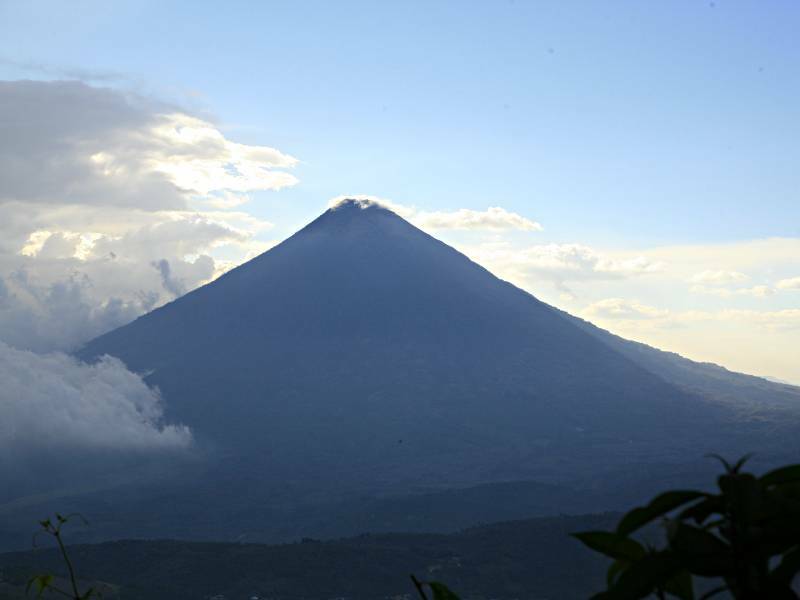 Most travelers head for Antigua, the delightful former colonial capital, its refined atmosphere and café society contrasting with the chaotic fume-filled streets of Guatemala City. Just outside of Antigua is the active Volcan Pacaya. It last erupted on 27th May 2010 but despite this is still one of the most hiked volcanoes in the country. Red hot molten lava slowly pours down the summit and huge dust and lava fields create an impressive landscape. The volcano can be hiked in an afternoon with an organised tour. It is an astonishingly beautiful lake ringed by sentinel-like volcanoes. The shores of the lake are dotted with charming indigenous settlements such as Santa Cruz La Laguna, where you’ll find some fine places to stay and breathtaking shoreline hikes, and San Pedro La Laguna, with its bohemian scene and rock-bottom prices. High up above the lake, the traditional Maya town of Sololá has one of the country’s best markets, a complete contrast to the vast twice-weekly affair at Chichicastenango. On Thursdays and Sundays the market comes to life with indigenous vendors selling everything from handicrafts to textiles, food, flowers, pottery, medicinal plants, animals and household and farming items. It provides a wonderful insight into the local culture. The unusually located town of Flores, situated on an island in the middle of Lake Peten Itza, is used as the main gateway to Tikal, but the area is worth visiting in its own right. A jumble of red-roofed buildings house craft shops and cafés – the perfect place to enjoy sunset over the lake. The wonders of Guatemala’s most famous archaeological site are hidden deep within the rainforest where 70m (230ft) high pyramids poke through the canopy – once home to an estimated 100,000 Maya. The UNESCO World Heritage Site contains more than 3000 structures including temples and palaces and is home to many species of wildlife including monkeys, anteaters and tapirs. Livingston is a colourful, lively town on the Caribbean coast and exudes all the charm of its Garifuna residents. It can only be reached by boat along the Rio Dulce, giving it an island-feel where thatched cabins, hammocks and rustic beachside bars and restaurants serve traditional, hearty cuisine and belt out music with a hip-swaying beat. 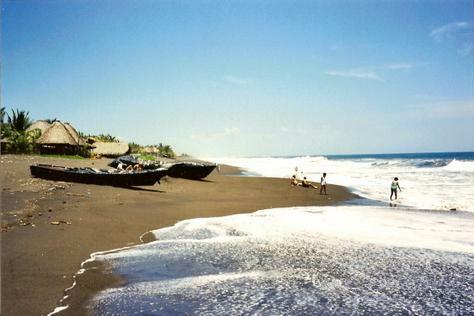 On the Pacific Coast, Monterrico offers remote black sand beaches and a laid-back atmosphere. Sea turtles come to nest on the volcanic sand and there are conservation organisations running release programmes that visitors can get involved with. Horse-riding along the beach, visiting the mangrove swamps and learning Spanish are other popular activities. Known more commonly as Xela, the city of Quetzaltenango (Guatemala’s second biggest) is ringed by three towering volcanoes and sits at an elevation of over 2300m (7546 ft). The population is predominantly Mayan and there are great opportunities for visiting surrounding Mayan villages as well as sacred lakes, sulphur pools and cloud forests. The pristine beauty of the Semuc Champey Natural Park is one of Guatemala’s most hidden gems. Turquoise pools and waterfalls cascade down to a 300m (984 ft) limestone bridge, under which passes the Cahabón River, and activities include caving, tubing and hiking amidst the unspoiled jungle in the heart of Lanquín. 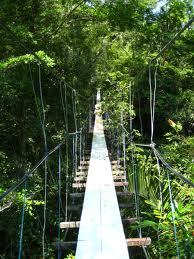 Thrill seekers can try canopy touring and fly through the jungle attached by a series of cables which are fixed from tree to tree. Guatemala’s rain forests are the perfect place to try this and there are various opportunities for canopy tours such as around Antigua and Tikal. Explore the unique highlands region of Western Guatemala (known in Spanish as El Altiplano), inhabited by the greatest number of modern day, indigenous Mayan groups – many of whom still speak the languages and uphold the sacred rituals of their ancestors. Great mountain passes and unspoilt beauty add to the appeal. Whether it’s coastal fishing, deep-sea adventure or relaxing by a lake rod in hand, Guatemala has some good fishing opportunities. Lakes and rivers good for fishing include El Lago de Izabal, El Petén, Río Dulce and Alta Verepaz. The Pacific Coast is a world-class location for sports fishing. Sea fishing is rated highly off San José. Guatemala’s Mayan ruins are one of the highlights of a trip and the best way to understand the ancestry of the people. The spectacular ruins of Tikal should be top on the list, but other impressive sites include: El Mirador, Uaxactún, Ixlú, Yaxhá, Aguateca and Quiriguá, home to the largest Maya-carved stellar yet discovered. Take a boat trip from Livingston along the Río Dulce, which winds its way through steep cliffs, dense vegetation and lakes to Amatique Bay. Its waterways pass through mangroves, lagoons and natural hot springs of the Chocón Machacas Biosphere, home to manatees.